Monaco based Dynamiq yachts has announced the appointment of Maurizio Magri as the builder’s new Commercial Director. Maurizio brings a wealth of experience in business development, sales, marketing and public relations to the Dynamiq. Prior to joining the Dynamiq team he works with a number of prominent superyacht builders including Mangusta Overmarine, Tecnomar, Intermarine and Admiral. He also successfully placed contracts for a 110m Lurssen, 72m Nobiskrug and 90m Feadship. “In terms of concept, design and technology Dynamiq represents a breath of fresh air in the competitive 30-45m sector. Jetsetter, its first launch, combines the luxurious Mediterranean lifestyle with sound northern European engineering in a high-tech superyacht with truly international appeal. I believe it responds to a need in the market and I’m excited about working with the Dynamiq team to consolidate these core values,” said Maurizio in a press release from Dynamiq. Dynamiq yachts launched the highly acclaimed 39m Jetsetter superyacht and currently has a 35m yacht under construction at its yard in Viareggio. 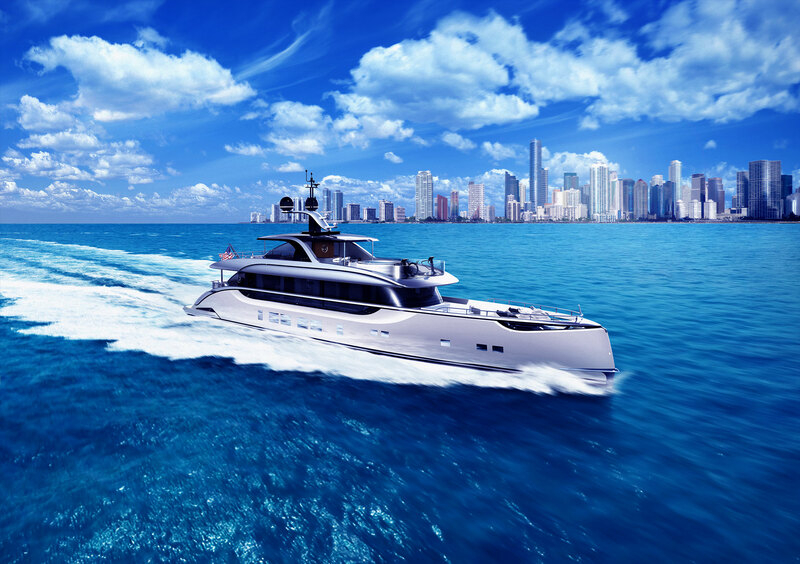 Jetsetter made its United States debut earlier this month at the Palm Beach International Boat Show.